This Dining Out is going to be a little bit different than the norm. Consider it more of a teaser of bigger things to come than a showcase. 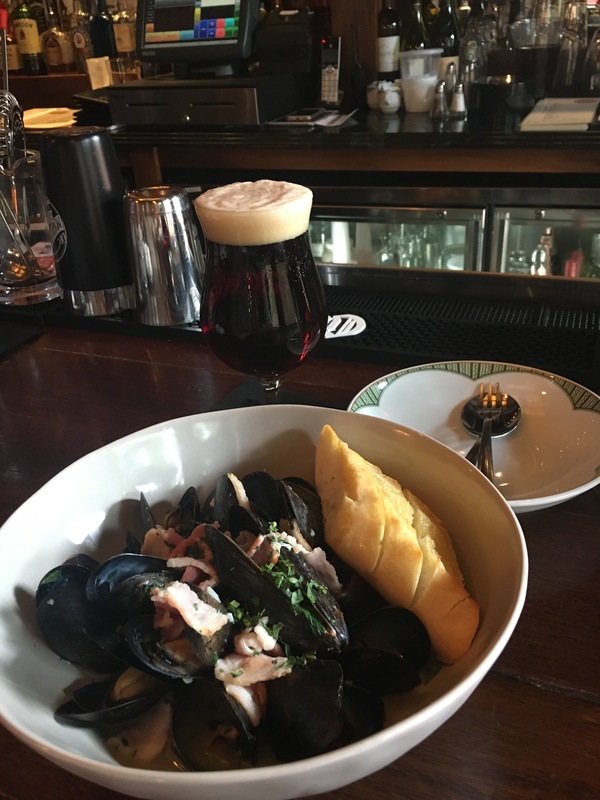 Augie’s Mussel House recently opened in the old space that we affectionately knew for many years as Le Gaulois at 1106 King Street. It’s most recent occupant was Hunting Terrace Steakhouse that closed after the untimely death of then owner, Jeff Yates. Augie’s is the product of the team of Chad and Justin Sparrow and Larry Walston. These guys are the brainchildren behind Mason Social that opened on North Henry three years or so ago. It appears that they wanted to test the waters with their concept before they took to revamping the entire interior and a good portion of the exterior. The plan is to begin construction sometime in November, however, in the meantime they have the patio – one of the best in Old Town – and the upstairs bar and dining room open for business. We bet many of you didn’t realize that there is a bar upstairs, did you? This means that you will be able to check the concept yourself over the next couple of months as well. 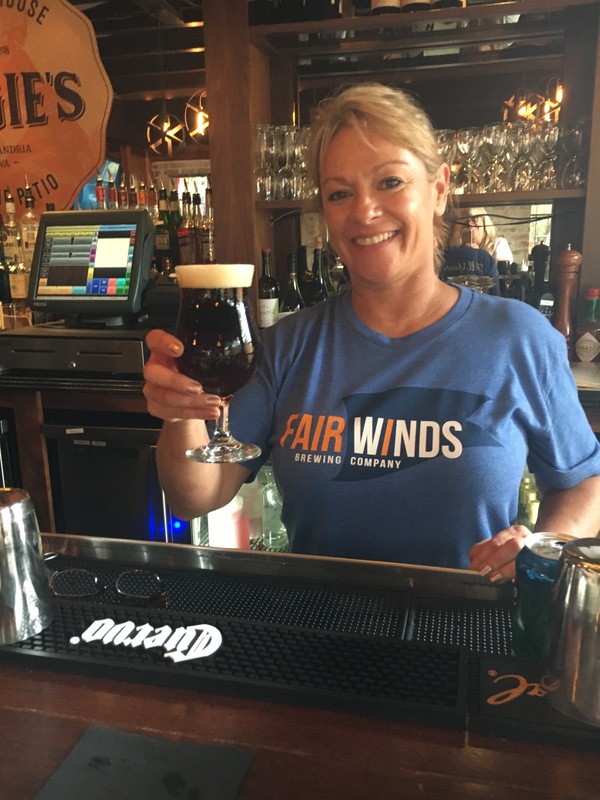 According to their website, St. Augustine is the Patron Saint of Brewers and since they are serving all sorts of craft brews – many with Belgian roots – it was only appropriate to name the joint Augie’s. There are 7 draft beers and many in bottles as well as a full bar with 4 signature drinks and a nice wine list. You will not leave this place thirsty. The Belgian influence comes into the picture with the menu. Mussels are a Belgian favorite as are waffles, however, we only saw one entrée that comes “on” waffles and it is the Hot Chicken. The menu is pretty straight forward and not overwhelming. It is comprised of 5 starters ranging from White Asparagus Soup to Watermelon Salad with some standards like Classic Caesar in tow. There are 6 “Augie’s By the Half Pound” mussel choices with a range of different flavors, and 8 Mains. There are 2 chicken options, a smoked salmon, hanger steak, pasta, a burger and Fried Bologna. Yep, you read that correctly, Fried Bologna. For $11 you get “shrettuce”, Augie’s sauce, American cheese, potato chips and mayo served grilled on white bread. We didn’t try it but it might be on the front burner the next time we go in. They are very proud of their Frites (fries for those not in the know) and Dips. The fries are right up our alley. Made with fresh potatoes and served piping hot. They are not greasy and this is a big plus. They come in three versions: salt and vinegar, Old Bay or classic. There are 4 dips to choose from: garlic aioli, smoked tomato, Augie’s sauce (this has a bit of heat) and green green (think hot green chili peppers). 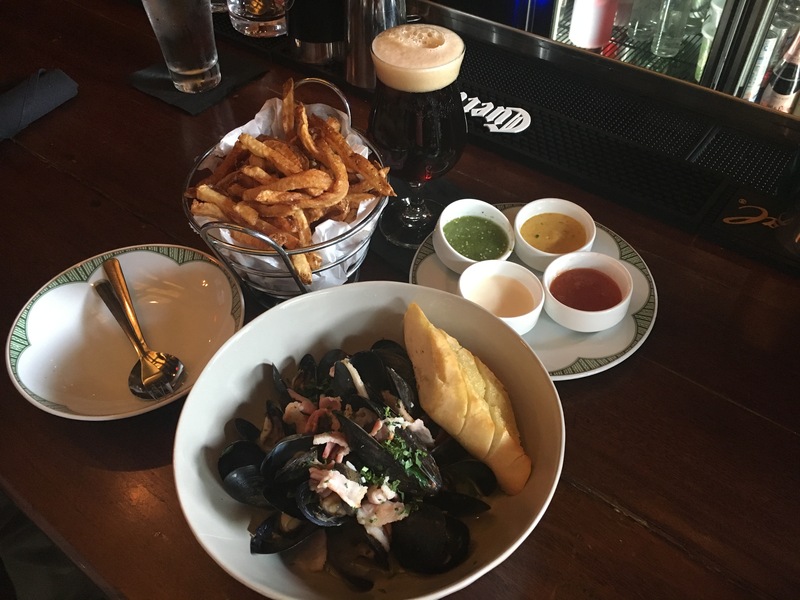 We decided to test the waters with a Grimbergen Double-Ambree’ draft, an order of the classic Frites and the Augie’s House mussels. While one of us is almost strictly a Coors Light drinker who steps outside the box on St. Patrick’s Day and drinks a Guinness or two, the other actually enjoys “real” beer. In this case, we both really liked the Grimbergen. It didn’t have that after bite that some of the darker beers have. The fries are served in a wire basket and there are enough for two or more people depending on how hungry you are. While we liked all of the dips on one level or another, good old Heinz 57 fit the bill. The Augie’s House version (garlic-herb butter, bacon and beer) of the mussels were plentiful and cooked perfectly and the broth was very good but a little on the bland side. However, you have to take into consideration that our normal mussel order when we dine out is on the Italian side with spicy marinara. The mussels are served with a sliced baguette and a spoon so you can finish off any remaining broth without any trouble. 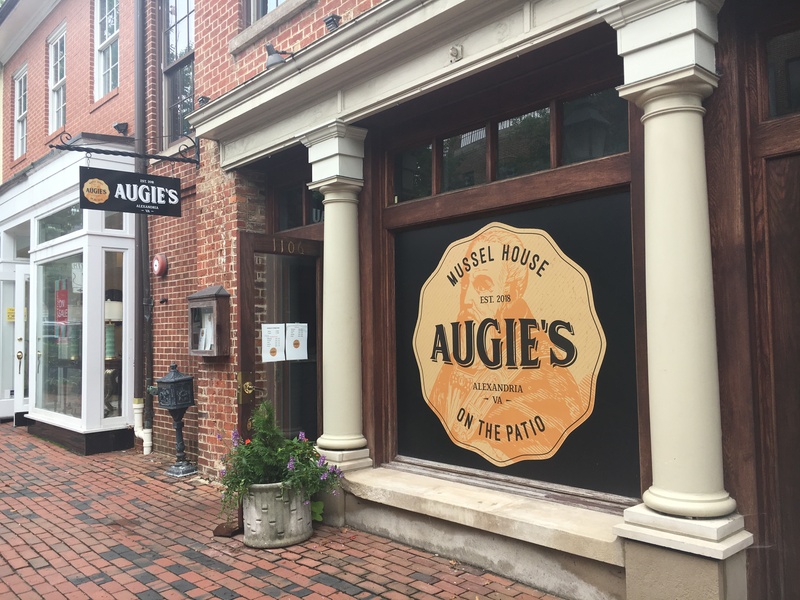 Head over to Augie’s while the weather is nice and you can enjoy the patio if you are a fan of al fresco dining. Otherwise, head upstairs and sit at the bar or one of the high tops and catch the latest in sports on the big screen television while you dine. Be sure to take a look at the renditions of the build out that adorn the wall as you walk in – it is going to take the building to a whole other level! « Visiting the Virgin Islands Year Round!